Nominated for seven Academy awards, winning three of them, this historical drama introduced to film a young Hopkins as the troubled Richard The Lion-Hearted, son of King Henry II (Peter O’Toole ) of England. Alongside Peter O’Toole and Katharine Hepburn’s powerful interpretations, Hopkins gives an excellent interpretation of a courageous historic figure. 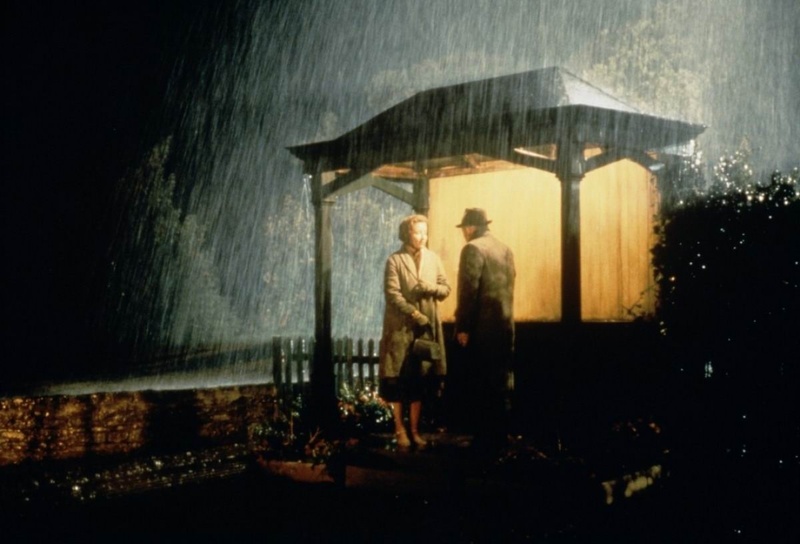 In this elegant adaptation from EM Forster’s novel, Hopkins (as Henry Wilcox) pairs with Emma Thompson, his co-star in the later The Remains of the Day. 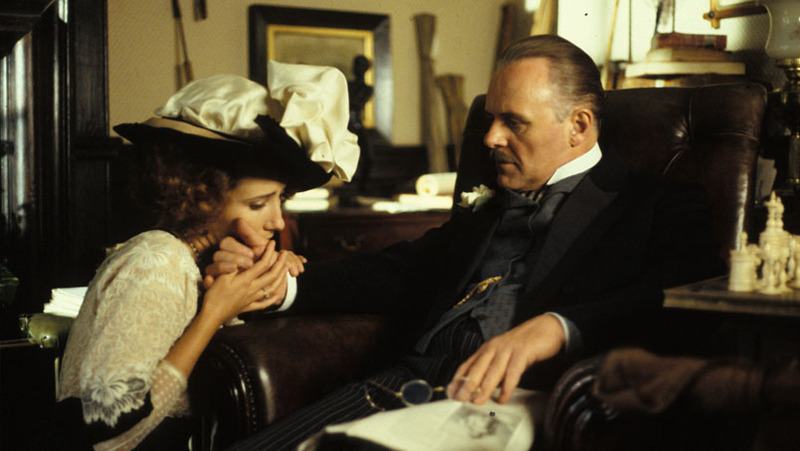 This stylish movie centers on social classes and their struggles in England at the beginning of the last century and the injustices which come from social distinctions. Anthony plays a rich, tough and willful aristocrat with a strong presence, but, at heart, he’s just a fragile man. An epic tale of love, jealousy, family relationships and war, this Edward Zwick movie won an Oscar for its cinematography. 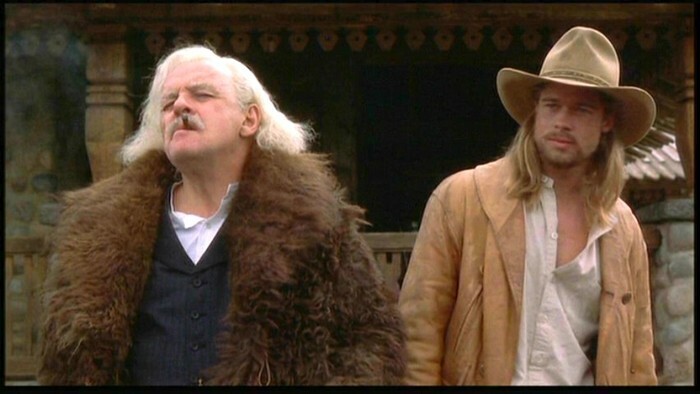 The film is a melodramatic masterpiece set during World War I. Anthony Hopkins is Colonel William Ludlow, father of Tristan (Brad Pitt), Alfred (Aidan Quinn) and Samuel (Henry Thomas), all of whom he raised in Montana. As they grow up, their seemingly unbreakable bond seems to disintegrate after Sam’s death during the war. Colonel Ludlow’s character will play a major role in Tristan and Alfred’s relationship as a paternal and sober presence between the two brothers who drift apart due to the presence of Susannah, Tristan’s beautiful fiancee. Hopkins gives an underrated performance in an underrated movie, which also features fine performances by Brad Pitt and Aidan Quinn. 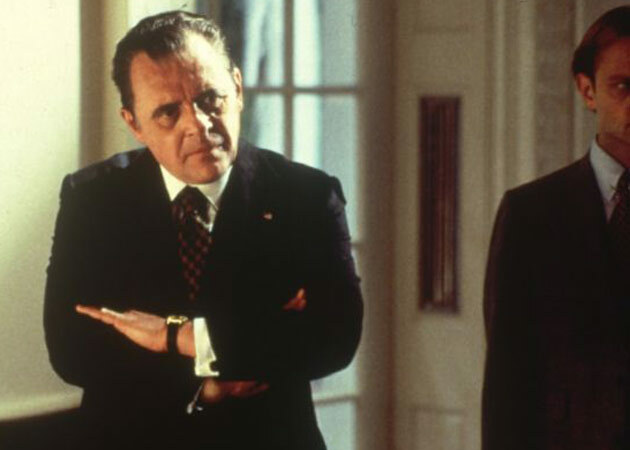 This nonlinear movie directed by Oliver Stone featured an unusual role for Hopkins as Richard Nixon, and his casting was controversial but his performance resulted in an Academy Award nomination. Hopkins’ subtle approach rendered Nixon a more sympathetic person than the infamous president might have been. The film is an emotional journey through the president’s inner demons and political life and the actor gives the historical figure a compelling side while expressing the madness of a tortured soul. Although Hopkins doesn’t look or sound like Nixon, he manages to capture Nixon’s essence perfectly. Playing Dr. Frederick Treves, Anthony Hopkins gives one of his best performances in this powerful and touching movie based on the true story of Joseph Merrick (John Hurt), a physically deformed man known as “The Elephant Man”. At first, Treves decides to study Merrick medically, but he discovers that behind Merrick’s deformity there’s a touching, gentle and intelligent human being and a bond is created between the two. Friendship and kindness are transmitted by the two major actors’ marvelous performances. Based on Kazuo Ishiguro’s novel, this acclaimed movie, nominated for 8 Academy Awards, features Hopkins playing James Stevens, head butler of Darlington House. This is a sad tale of duty, love and regrets, the inner struggle of a man’s deepest desires. Hopkins gives a superb interpretation with impressive subtlety portraying a man taught that to be the best servant he needs to repress all of his emotions. His eyes and subtle facial expressions are the only signs of his internal struggles. This is a deeply moving movie about a helpless man trapped in his profession, who chooses to do his job with pride and absolute dedication rather than to choose love, which he thinks improper. One of the most unforgettable, fascinating and scary characters ever, Dr. Hannibal Lecter is memorably interpreted by Anthony Hopkins, who was awarded an Oscar. Lecter is a brilliant psychiatrist who also happens to be a cannibal and a violent psychopath. Directed by Jonathan Demme, adapted from Thomas Harris’ best-selling novel and nominated for 8 Academy Awards, winning five, the movie follows the story of FBI trainee Clarice Starling (Jodie Foster), tracking a serial-killer named Buffalo Bill (Ted Levine) who strips the skin of his female victims. 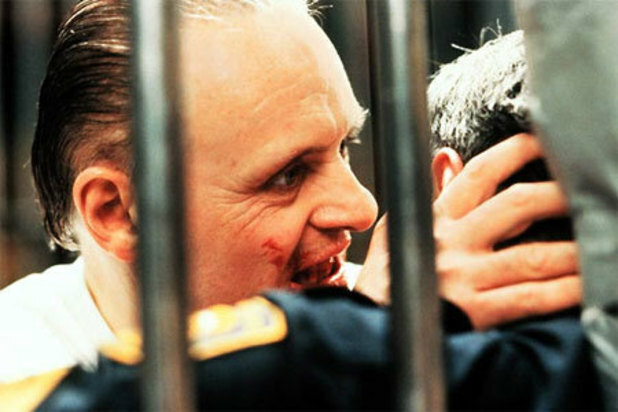 To find him, Clarice needs the help of an incarcerated and manipulative psychiatrist, Lecter. The scenes shared between Clarice and Hannibal give the audience some brilliant moments. Clarice is the point-of-entry, the bridge to the cruel, contorted, insane and sadistic world of murder Lecter represents. The way Hannibal scrutinizes Clarice with his glacial and lethally sharp eyes and provocative looks is frightening, and he doesn’t move a single muscle while doing so. He is gracious and monstrous at the same time. Although Hopkins does not have much time on screen, the performance is an example of making so much out of so little. His presence is felt at all times and he is captivating and terrifying. Author Bio: João Vieira is a cinema aficionado since he can recall. His favorite director is Woody Allen and he likes to watch movies from all genres, years and countries. In his spare time you’ll probably see him reading a book or talking with his friends about a movie or series he just saw.